Instructions for each individual module will be found on the pages 01 Gearbox, 02 Visual Significance, 03 Design Criticism on the interactive menu above. 1. Please compile your publication for each Module as a pdf and upload it to: issuu.com/CommunicationsResArc (I will provide the user name and password). When you upload your pdf (A4 tends to work best, but feel free to play with the format) you will be able to retrieve what’s called an ‘embedding code’ which you will need so that you can embed your pdf ‘publication’ into our Staging the Message blog. 2. Back in our blog: Please create a blog post in the category ‘M01: Gearbox ’, ‘M02: Imaging and the Diagram’ or ‘M03: Design Criticism and Practice’ depending on which module you are posting for. Example: https://communicationsresarc.net/category/m01-gearbox/ Please use the title of your issuu publication in the title bar, and then use the opening paragraph of your introduction in the text box, or else write an abstract that concisely describes your project. To add a picture to your publication go down to the right corner and choose ‘feature image’ here you can upload a picture and then edit it to your preference. Larger images are preferred and in landscape mode (rectangle lying down) to ensure the quality of your image to be keept. 3. In the above blog post please: cut and paste the embedding code from ISSUU into your blog post you make it into a link through using a button on the tool menue between the headline box and the post box. NOTE: make sure on the blog post window you have selected the html mode when you cite your embedding code from ISSUU. First you need to be able to login to this Staging the Message Blog. 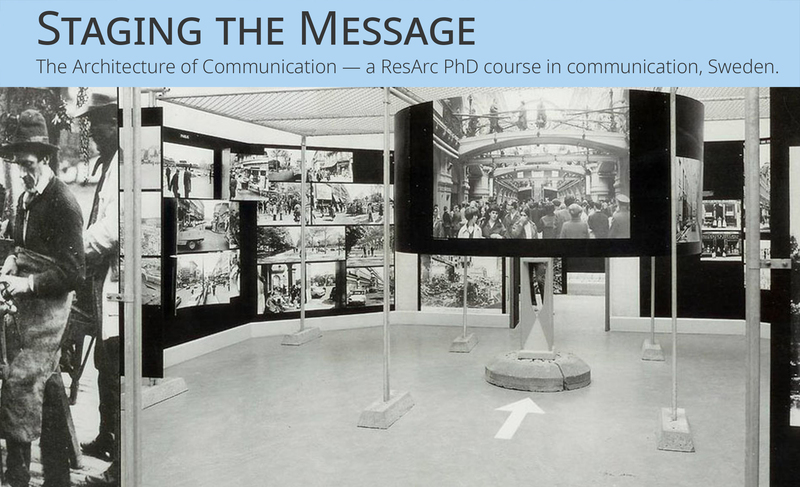 You will be able to login once you receive an invitation from communicationsresarc in your email inbox. You will need to follow the prompts in the email. If you do not already have a WordPress user account that will be the first thing you will need to create (NOTE: This does not mean you have to make your own blog!). Once you login you need to either go to the ‘dashboard’ (press the ‘Staging the Message’ icon in top left corner of page and select ‘dashboard’ from the drop down menu) or else to ‘site admin’ (see bottom of page). This will place you to behind the scenes of the Staging the Message blog, where you will be able to upload a post. Then select POSTS from the menu bar on the left, and then ADD NEW (to add a new post). You will see there is a place to include a title, and then a text box for your words. You can also add media (select ADD MEDIA box), for instance, a pdf. For image posts I repeat: To add a picture to your publication go down to the right corner and choose ‘feature image’ here you can upload a picture and then edit it to your preference. Larger images are preferred and in landscape mode (rectangle lying down) to ensure the quality of your image to be keept. Dont add images through the ‘Add media’ button they will appear in your text and not as a headline to your post. It is important you need to select a Category in the right hand side of the page. Select either M01, M02 or M03 depending on which module you are posting for. Don’t forget to press the ‘publish’ button on the left as you have finished your post.